The day after New Jersey posted record online gaming revenue, including a 30.4-percent year-over-year increase in rake collected from online poker, Nevada Governor Brian Sandoval said publicly that his state and the Garden State should pool liquidity for online poker. 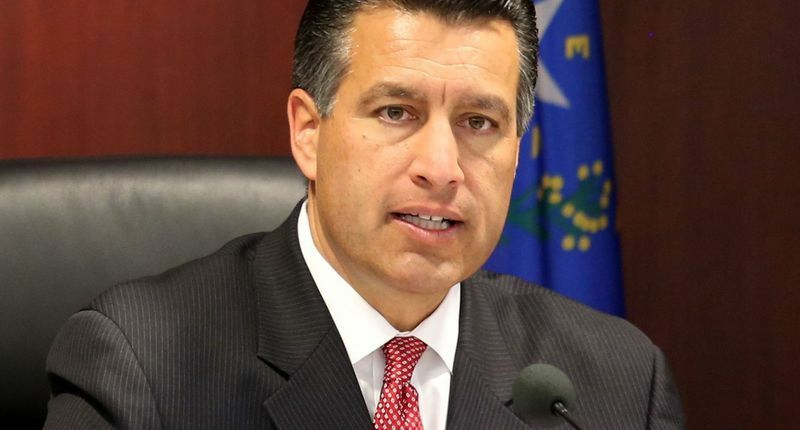 Sandoval was speaking at Friday’s Gaming Policy Committee meeting in Las Vegas, which was actually held to discuss how Nevada’s casino industry could potentially make money from e-sports. Those games have an overlap with poker because Nevada would likely facilitate them and collect a fee, similar to the rake in poker. According to Rick Velotta, a casino industry reporter for the Las Vegas Review-Journal, Sandoval is looking to enter into a compact with New Jersey. Sandoval reached a deal with the state of Delaware in February 2014 to share online poker liquidity, but given the small populations of both states, the arrangement hasn’t done much, if anything, for their respective online poker markets. The liquidity sharing began a little more than a year ago. New Jersey has more than 92 percent of the U.S. regulated online gaming market.
.@GovSandoval perplexed why NJ reluctant to set up two-state poker pact. "It would be like putting together the Yankees and the Dodgers." Sandoval offers to talk with Gov. Chris Christie about setting up an agreement. New Jersey online poker saw such a huge increase in April thanks to the first full month of PokerStars being in operation. The Borgata and Caesars also have poker platforms in New Jersey. Caesars runs the WSOP online poker site in Nevada. PokerStars was once eyeing entry into Nevada, thanks to a tentative partnership with Wynn Resorts, but those efforts were derailed by Black Friday in April 2011. According to Velotta, former Nevada Gaming Control Board member Mark Clayton said at Friday’s meeting that server location is the “apparent issue” with forming a compact between Nevada and New Jersey.